KHOST, Afghanistan, March 17, 2014 (ENS) – Residents of Khost province in southeast Afghanistan say a nationwide development initiative is making a real difference to their daily lives, calming tribal tensions and boosting security as well as providing essential infrastructure. The National Solidarity Programme, NSP, conceived as a way of rehabilitating rural areas with the active participation of local residents, was rolled out across the country from 2003 onwards. 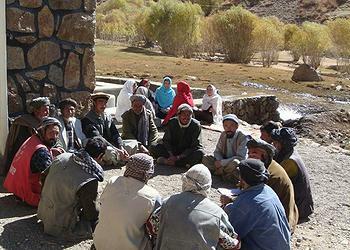 Overseen by the Ministry of Rural Rehabilitation and Development, local councils help choose and supervise projects based on the needs of local people. The bodies, known as Community Development Councils, are elected by villagers and make their project plans in consultation with the community. Some of these schemes are carried out by the village independently, while others receive support from the National Solidarity Programme. The projects also provide employment for the community. Abdul Karim Patang, a resident of Khost’s Mandozai district, said that despite other efforts by the Kabul government to provide services, only the NSP projects had proved successful. Patang said that unlike other programmes developed by international organisations or the Kabul government with little awareness of local requirements, the NSP allowed people to create the projects they identified as most essential. Locals say the National Solidarity Programme has helped soothe relationships between different tribal groups in the province. Sayed Karim Khaksar, chairman of the provincial council, explained that decades of conflict had damaged the bonds between local tribes. The National Solidarity Programme projects, he said, had helped revive these ties. 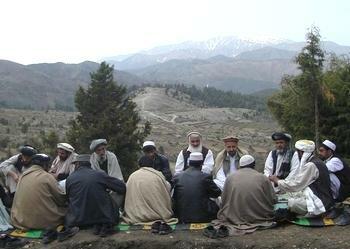 Hamid Karimzai, a resident of Mehdikhel in the center of the province, said that people from various tribes had bought land in the area, but there was little interaction between them. After the NSP launched its programs in the area, however, they began cooperating with each other, even formalizing an agreement on how to act against violent crime. Five notorious bandits have recently been arrested by police with help from locals, he added. Easier access to water has led to knock-on benefits, says Nasratullah, who lives in central Khost. There used to be no clean water supply in his village, and women would have to walk long distances to find water – a task considered demeaning for men. Osman Mahdawi, the Ministry of Rural Rehabilitation and Development’s regional director in Khost, said that more than US$1 billion had been spent in Khost since 2003, with nearly 1,800 projects implemented. More than 250 projects are currently in progress, he said, including road building and well digging schemes in Mandozai, Musa Khel, Zazi Maidan and Nadir Shah Kot districts at a cost of US$4.75 million. Security problems in three of Khost’s 12 districts have limited the NSP’s work there, but Mahdawi said some basic projects have still gone ahead. “We have found a partner organization and we hope that we will be able to start programs in these three districts in the near future as well,” he said. Officials in Khost say the National Solidarity Programme has also had the effect of boosting stability in the areas in which it operates, increasing public confidence in government. Barialai Rawan, public relations adviser to Khost Governor Abdul Jabar Naimi, said NSP projects have greatly reduced unemployment across the province. “We consider the NSP very important in this respect, because it has been made clear to people that we are their representatives and we are working for them,” he said. According to the Ministry of Rural Rehabilitation and Development, the schemes have led to temporary or permanent employment for some 100,000 people in Khost. However, not everyone is happy with all the NSP’s work. Mohammad Akbar Zadran, local government head in Khost’s Gorboz district, said that while access to clean water has vastly improved, solar energy projects have not had similar success. “The solar energy systems provided for the people in Gorboz by the NSP were of poor quality. They broke quickly and the people were left unhappy,” he said. Mahdawi agreed that there have been problems with poor-quality solar energy systems in the past, but he said the ministry had penalized the contractors responsible and no longer included solar power in projects. 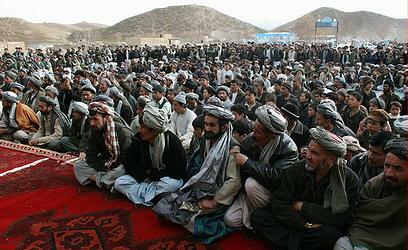 Baswaroddin Afghan, a resident of Khost city, said that some NSP projects were marred by nepotism. “When a well is to be dug, the council members or the commander in the village try to dig it near their own houses. If a road is constructed, they try to lead it past their homes,” he said, claiming that laborers were mostly relatives of NSP council members and the work done was often of low quality. Mahdawi strongly rejected any suggestion of corruption.